Is your business prepared for the flexible working revolution? We’re a forward-thinking bunch here at dodio and we pride ourselves on our modern and inclusive approach to working. We know that working smartly isn’t about presenteeism, but about placing trust in our staff so that they can work in a pattern and an environment that fits best with their lifestyle and commitments. Our staff are more invested as a result and we have a great team dynamic. Unfortunately, this isn’t an approach that is adopted by all employers, with many fearing that flexible working would lower productivity, would be difficult to manage and would open the floodgates to a new and unwieldy way of working. We delve deeper into the shift towards flexible working in the UK, and what even the most reluctant employers can do to move with the tide. In the years before Wifi and laptops, workplaces relied heavily on manual admin and paper-based processes, so people worked in offices which were set up to facilitate and manage this. But the way many of us work has now changed immeasurably. Thanks to improved technology, the majority of us can work wherever and whenever we want to. The impact of globalisation means that we could be working as part of a team that spans not just time zones, but continents so a set working pattern is of little relevance. And as the economy rebalances towards non-traditional jobs, where freelance careers and zero hours contracts are the norm, flexible working is becoming built in to the fabric of the UK workforce. As a result, we now have the opportunity to build our days around when we can be most productive and to fit our working week around our commitments both inside and outside of work. Managed properly, evidence suggests that the benefits of smarter working to the business are considerable too, from increased productivity to improved staff morale and retention. 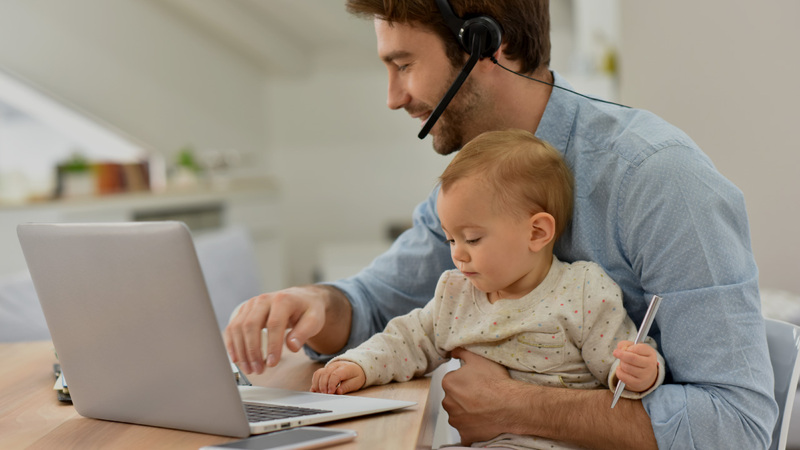 Demand for flexible working is on the increase, with a recent study highlighting that three-quarters of UK employees would favour a job that gives them the option of flexible work schedules – 70 per cent more than in 2017. It also revealed that nearly a third would prefer flexible working to a pay rise. The study, by Powwownow, also found that the approach to flexible working differs by gender, with 81 per cent of women stating that flexible working would make a job more appealing, and 45 per cent saying they would “strongly prefer” a job with flexible working – compared to 69 per cent of men saying they would view employers offering flexible working more favourably. Millennial workers are also more likely to want to work flexibly, with 70 per cent citing it on their wish list, compared to only 47 per cent of over 55s. The increased demand for flexible working could be due to people feeling time-poor, with 42% of respondents reporting that they don’t have enough time in the week to spend with family or dedicate to their hobbies. Employees would also increasingly prefer to be judged on the work they did rather than the hours they put in, and employers who fail to address this, and flexible working more widely, risk alienating and even losing workers. The end of the 9 to 5 working week? The drive for change is already proving effective with a demonstrable shift in the working patterns of workers across the UK. A recent survey by YouGov found that the traditional workplace hours of 9am to 5pm are largely a thing of the past, and now only relevant to a minority of workers. The results of the poll suggest that just 6% of people in the UK work these hours, with almost half of people working flexibly, with arrangements such as job sharing or compressed hours. Meanwhile, the issue has gained so much traction that the UK government was moved to launch a flexible working task force earlier this year. But despite the cultural shift and the availability of technology, there are still organisations who resist a move to smarter ways of working. This has led HR website, Personnel Today, to develop a Manifesto for Smarter Working, highlighting five key principles which, if agreed on by businesses, open the door to smarter working practices. Agree that the office is just one place we can work: Even the sleekest of offices won’t suit everyone, all the time. There will always be instances where the office isn’t the best environment to work. We do not need excuses to work smarter: Workers often feel the need to excuse remote working with reasons unrelated to work, such as waiting in for a delivery, but in most instances the reason is simply that workers will get more work done to a higher standard. Trust isn’t about turning up: Healthy relationships rely on trust earned through mutual respect and value. We shouldn’t have to be in an office for people to truly believe we’re working. Great work can happen any time: Different people perform at their best at different times. For some this might be first thing in the morning, and for others late at night. What matters most is delivering the best work possible, not when it happens. Value working smarter over working longer: Being first in and last out doesn’t mean someone is working better or harder. We need to evolve the way we measure performance to focus on productivity, not hours and minutes. In a workplace environment where the competition for talent is heating up, the best talent will increasingly be able to choose employers who offer the best working conditions and practices for them. Companies that cannot offer smarter ways of working will see the retention and attraction of top talent become increasingly difficult. It is therefore in our interests as employers to be open to the idea of flexible working if we hope to attract and retain the talented staff we need to help our businesses flourish and grow.